Scientists say mice and humans descended from a common ancestor about the size of a small rat. (CNN) -- When it comes to DNA, it turns out there's not that much difference between mice and men. 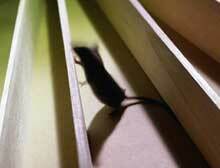 Mice have many more genes for smell than humans. And they have more genes to produce frequent and large litters. But about 40 percent of the two genomes are directly aligned.